Business telephone numbers, what’s the big deal? Is it really worth reading a ten-minute guide to dictate how your customers will call you? The short answer: yes. The long answer? Well, that’s where this guide comes in. It will give you all the information you need to pick the right number, so you can catapult your business growth. Are You Putting the Future on Hold? Marketing. Branding. Operations. The team. All necessary expenses – yet you’ll only see a return on your investments when you have the right business number. You need a number people can call to respond to your advertisements. A number that reflects your reliability as a brand. That makes you more revenue. That lets your team work from anywhere. With 0800 numbers for business, the caller doesn’t have to pay to call – the business does. Companies that have a big customer service department tend to use this number for ease of use. NatWest customers dial a number beginning with 0800. The same goes for utility businesses: EDF Energy, for example. People call freephone numbers more often than other lines. In fact, 65% of customers in a survey by Henley Research said that they were more likely to call when it’s free of charge. Along the same cord, 0800 numbers for business are easy to remember, meaning less misdials. The fact that it’s recognisable also inspires trust for customers to press those digits. Generally, big companies take on an 0800 number. They take a lot of calls and often see a big return on their investment. By following suit, you can form the impression of a larger business image from just £2 a month using an 0800 number. You also develop a sense of formality surrounding your brand. These benefits cultivate further economic success. When you can increase trust and reliability, you get more calls which inevitably leads to more sales. Is a Freephone Number Right for You? If you want to go national or global, it’s an excellent choice. 0800 business numbers conceal your geographical location. You gain a national presence no matter where your business is based. Launching any regional marketing campaigns soon? With multiple 0800 numbers, you can advertise a different phone number for each region. 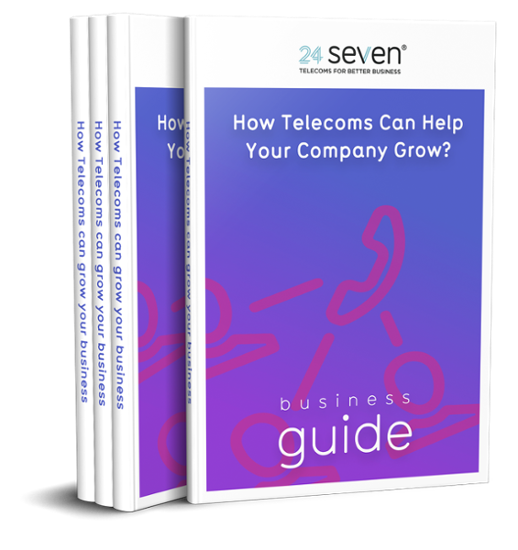 By using call analytics (available for any type of number that passes through the 24 Seven network) it’s possible to measure the success of different freephone numbers being used by the same campaign. With a full breakdown (call time, time spent during a call etc) of your traffic, you can spot patterns in your marketing data, such as the region your campaign was the most effective in. The insights you gain can help you improve your targeted marketing. Companies that have hundreds of phones ringing non-stop for purchases and sales enquiries often use revenue share numbers to offset their overheads. Elsewhere, businesses with loyal customers who are willing to pay to get in touch use premium numbers for extra revenue. Ofcom’s draft bill on consumer rights has made it illegal to charge for customer complaints or support calls. Specific businesses, like gambling or holiday package companies, are exempt from this rule. Otherwise, you need a freephone, national or local number for your customer service calls. How about earning money from your calls? Every time a customer dials your number for a sales enquiry, you can earn revenue. How much depends on what the customer paid. This is a good strategy to boost your budget by monetising your sales operations in a new way. You won’t have to brush off cold callers anymore. Putting a price tag on your business line ensures you only receive serious calls. Like we trust Cadburys to make delicious chocolate, customers often feel that businesses with an 08 number are reliable – these numbers are well established and recognisable on a national level. Tone up your brand’s identity by using a freephone number for your business line. Is a Revenue Share Number Right for You? If your customers are cool with paying to call you (and you abide by Ofcom’s rules), you can afford to make it a lucrative operation. Using 0843, 0844 and 0845 numbers, you can earn 2.5p per minute. Boost that to 6p per minute with an 0870 or 0871 number. Businesses offering a premium support service can legally use premium numbers to raise their revenue. For instance, if you operate a horoscope line, customers looking for spiritual advice pay for that service. Or let’s say your goal is to relocate in the future. Like a freephone number, this line can exist from anywhere in the world. If you want to keep the move on the down low, your customers don’t have to know: you won’t ever have to change your number. Maybe you’re looking to direct callers to a disguised site (for example, a call centre abroad) – akin to 0800 numbers, revenue share numbers aren’t location specific. You can maintain a national presence no matter where calls are received. Perhaps you’re in a bit of a tight spot right now. You can use a revenue share number to expand and stay on budget – using extra income from calls to subsidise a new department. Businesses that have a local customer base use geographical numbers. It allows them to advertise a local landline for targeted regional marketing. These business telephone numbers can also be diverted to a landline or mobile. You can do business from anywhere while giving the impression you’re based locally. Let’s say your headquarters are in Manchester but you want to build your customer base in London. By purchasing and advertising an 01 / 02 number, your prospects will be none the wiser of your actual location. Who’s to say you can’t operate in more than one local area? Target as many expanding markets as you want by advertising different geographical numbers. You don’t need to move teams or purchase new offices saving you unnecessary overheads. A local number also builds familiarity: customers who prefer to do business locally are more likely to use you than a global company. Is a Local Number Right for You? Do you rely on direct contact with your customers to complete a sale (as opposed to online)? You can increase business by encouraging people to pick up the phone through a local number. Maybe you’re a nomadic entrepreneur and moving or travelling abroad while working is your dream. This can be achieved with a local number because you never have to change it, no matter where you wander. Upping your marketing game is also possible through a local business line. By advertising your number in a specific region, you can strategically increase your call volume by location. This will help you build a customer database in different areas, expanding your business in an inexpensive way. While they’re not as well-known as revenue share numbers, phone lines starting with 03 are becoming increasingly favourable in business. Mostly because a company can maintain a national presence without needing to charge customers extra for calls. Calls to a national number cost the same as a local number – a cheaper alternative to 0800 numbers for customers that increases consumer satisfaction. Also, since calling an 03 number is usually free for those with mobile contracts, the increased likelihood of customer calls can boost your call volume. As we mentioned earlier, it’s illegal to use a premium number (084 or 087) for customer complaint and service lines. So how can you adhere to these regulations without the headache of changing your number? An 03 number can be your workaround to this conundrum. For example, if your number is 0845 456789, you can use the 03 variant (0344 456789) to re-route customer service calls from your existing line. This is a cost-effective way to stay compliant while keeping a premium number. Additionally, because it’s well recognised, an 03 number opens you to a wider audience while enhancing your professional image. Is a National Business Number Right for You? If you’re looking for an affordable alternative to a premium business number, 03 business telephone numbers are a smart solution as they go by the national rate. They also allow you to maintain a national presence without costing the earth, like a freephone number can when calls are flooding in. Moreover, as an increasingly recognised number nationwide, customers’ trust in you will only grow with time. Only charities, public sector bodies and not-for-profit companies can use an 0300 number. Ofcom made this rule so that such organisations can offer calls at a single point of contact nationally. Since calls to these numbers are included in most contracted landline and mobile minutes, usually customers aren’t charged for their trouble. Charities like the RSPCA and Action Fraud use an 0300 line. So do GP practices and government departments: all well-known and respectable bodies. Adopt an 0300 number and callers will give you the same level of loyalty since they can associate you with trustworthy not-for-profit organisations. The overarching advantage of professionalism and reliability is huge for not-for-profit companies. It helps you attract donations by putting your official status beyond doubt. Moreover, an 0300 number is memorable, mainly because it’s used by so many big names. With customers that are less likely to press the wrong digits, you can increase your call volume. Is a Not-For-Profit Number Right for You? If you’re a charity or another not-for-profit organisation, it’s a no-brainer. Why use a premium number when customers can call you at next-to-no expense? 0300 numbers are national numbers: if you’ve previously been operating locally and want to go national, you can enable this move using a not-for-profit line. It’s time to start using an 0300 number when you’re ready to make a serious impact for your cause. By having a line that’s recognised as official, potential donors are more likely to engage with you increasing your incoming endowments. The beauty of business telephone numbers is that there aren’t any grey areas. It’s no game of phones, there will be a clear number that’ll reign supreme for your business.